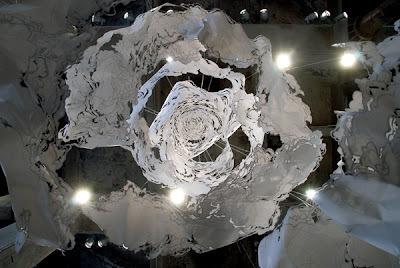 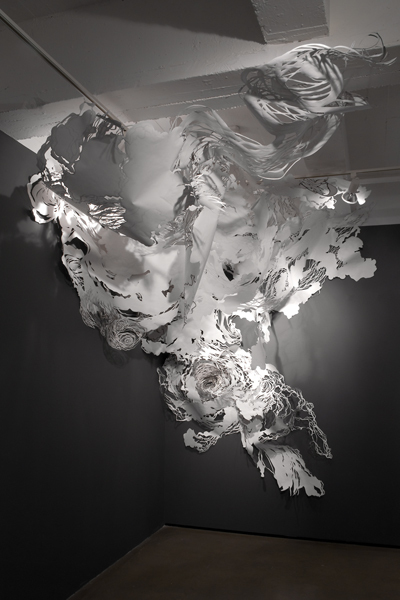 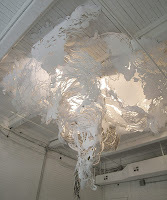 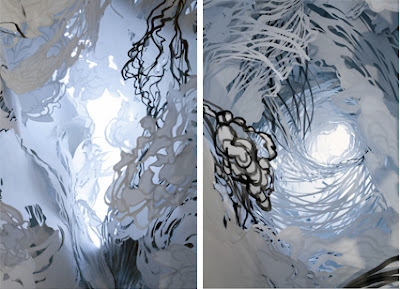 Mia Pearlman is an artist who is inspired by Cloudscapes, creating wonderful paper installations that resemble clouds and tornados. 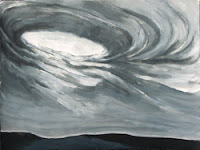 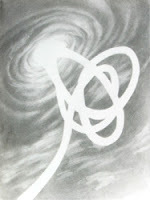 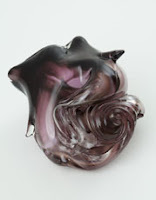 She has also completed a series of drawings, sketches and glasswork relating to this area. 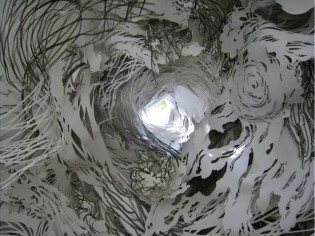 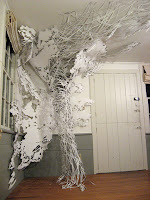 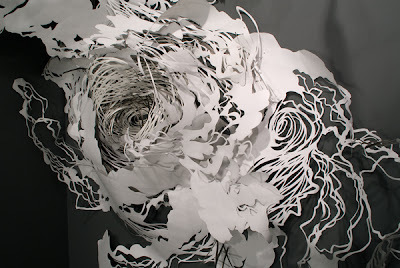 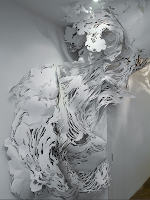 Her work instantly reminds me of a recent artist I found called Vanessa Alarie, working in a similar way with paper, but creating slightly different, more organic installations.